Sorry about that last post. It's really hard to write posts on my phone and I haven't had much of a chance to get on my computer lately. I went away last weekend to a crop for the whole weekend! So I have lots of stuff to share in the near future. The challenge this week was to use your favorites. I'm loving these echo park papers and especially the cork adhesive backed paper from DCWV that I used for the log. 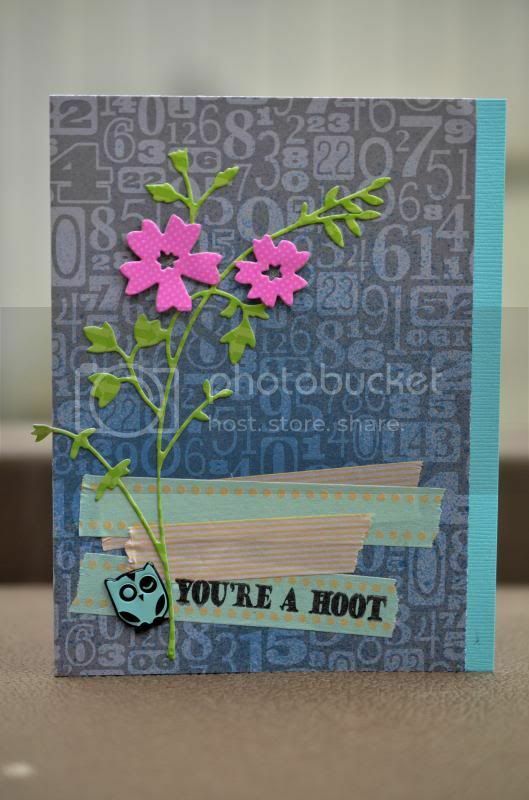 This week the Joy's Life team is working on cards inspired by nature! 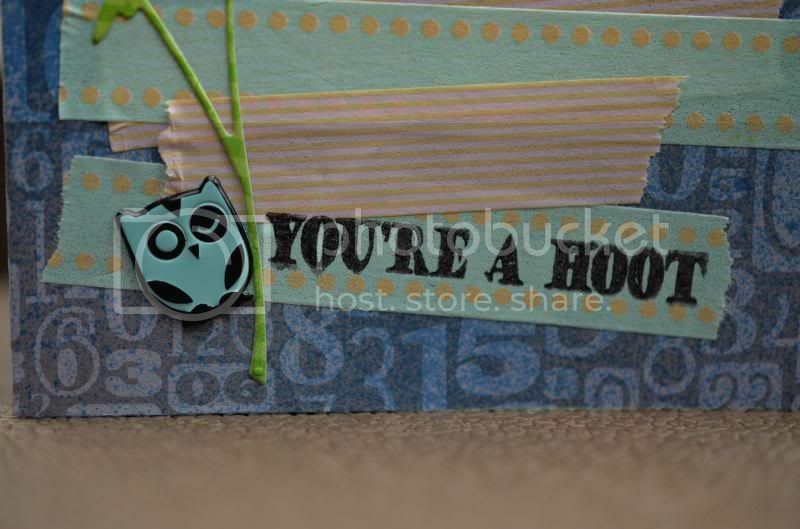 I chose this little eyelet outlet owl brad as inspiration. 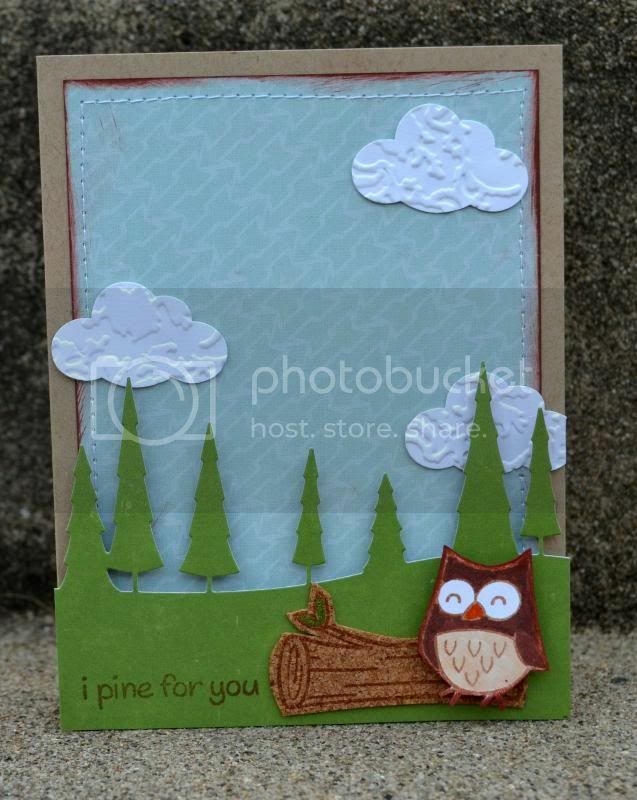 The sentiment is from the Wild Life Puns set. 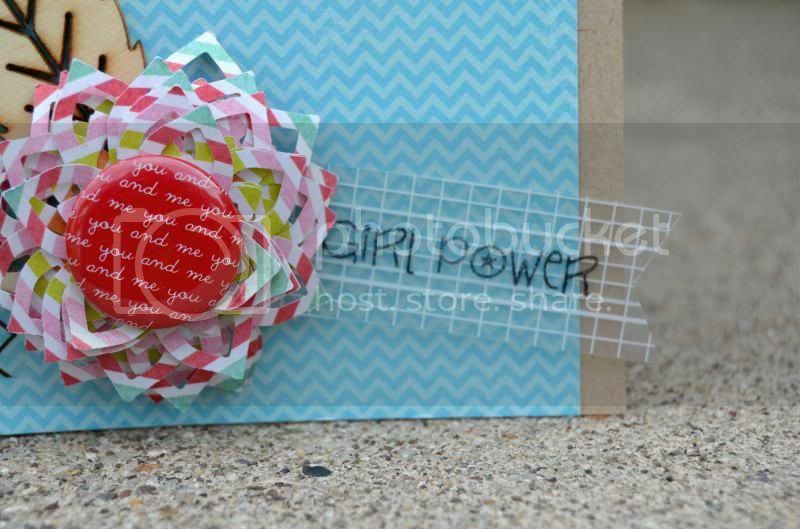 The washi tape is also from eyelet outlet. the ink and mist are from clearsnap. 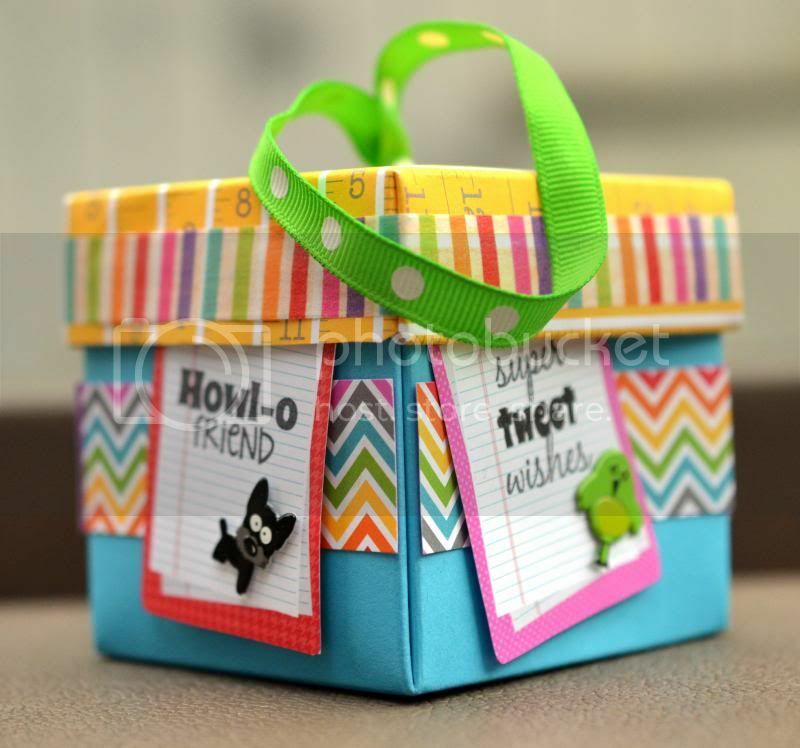 The die is from memory box and the paper is doodlebug. 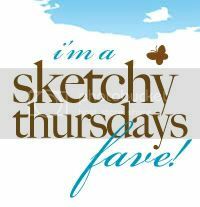 I am so excited to be guest designing for Great Impressions this month! 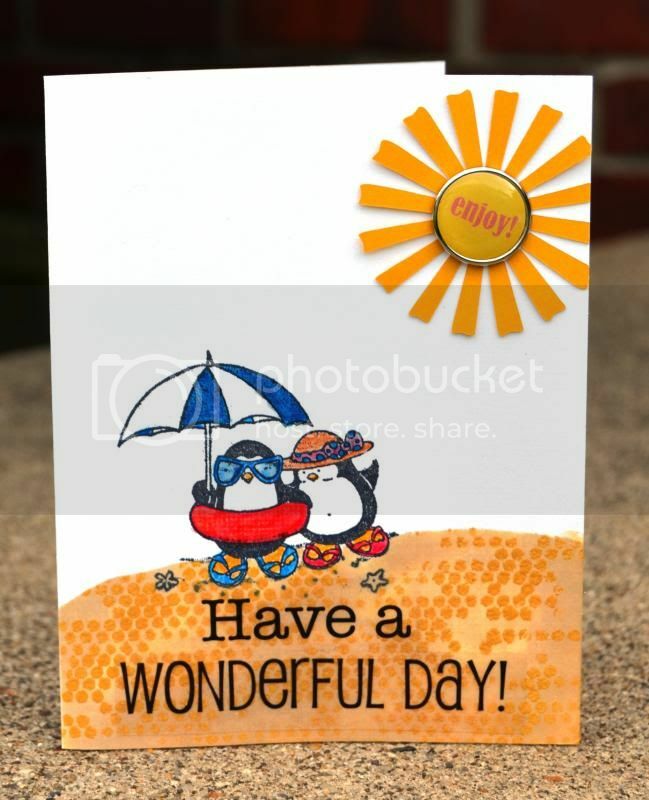 I made two cards with these adorable stamps! I definitely could have kept going because I had so much fun! 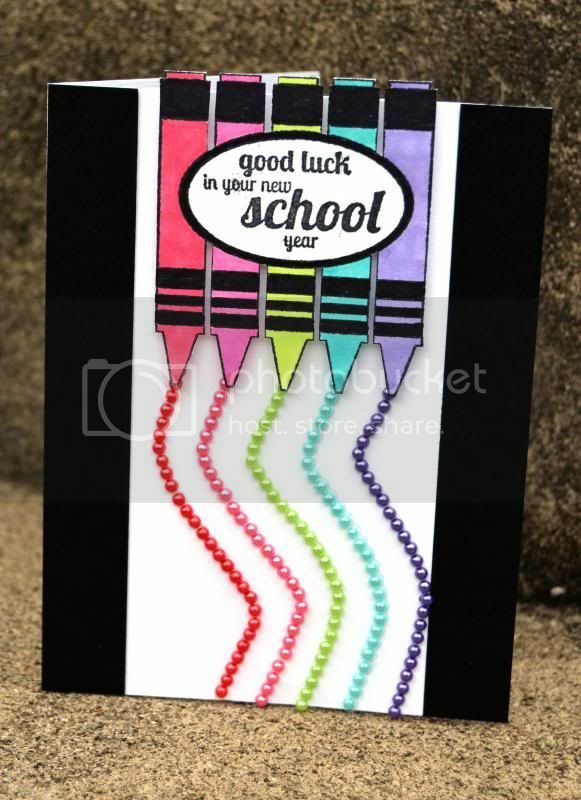 For this first card, I used watercolor pencils to color the image. For the sand, I masked the penguin feet and then blended a couple colors of ink to create variation. Next I used a mask and a slightly darker ink to add the dots, which I then embossed with opalescent clear embossing powder to create a little bit of glimmer, which doesn't show up very well in this photo. Additionally, I added glossy accents to the inner tube, sunglasses and bow, which also doesn't show up well in this photo. 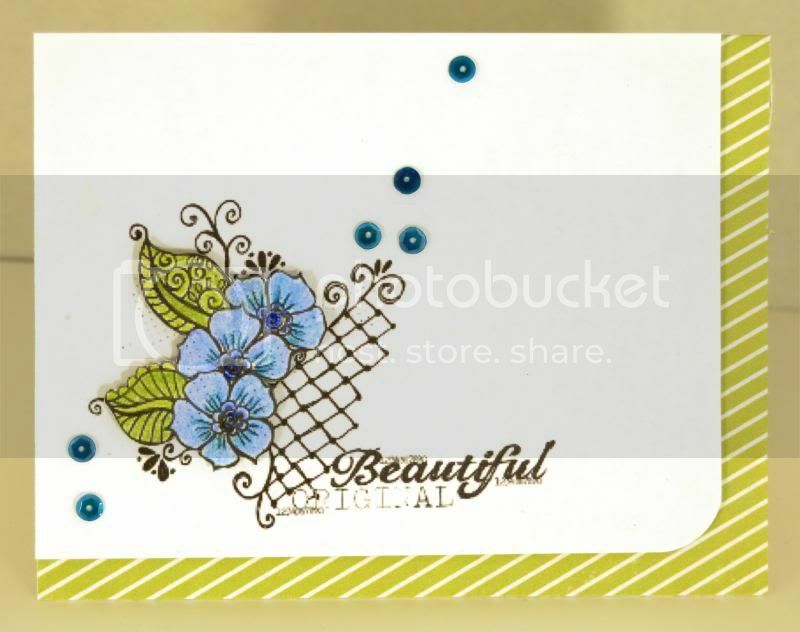 For this card, I wanted to make the image stand out from the rest of the card, so I fussy cut it. I colored this one with watercolor pencils and alcohol ink markers. The double frame really sets off the image. 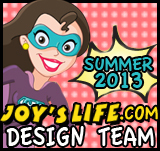 Today I have a Joy's Life Back to school project to share with you! 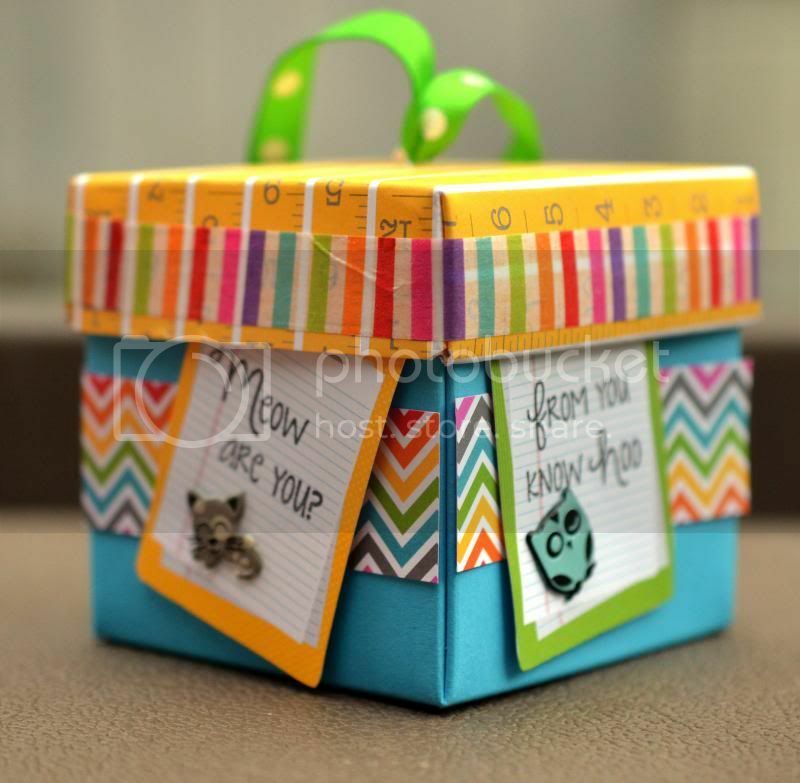 I thought this would be fun to put in a lunch box filled with treats or fruit snacks or whatever. I used several stamps because I thought my daughter would get a kick out of the puns. I used four sayings from the Punny Animals stamp set. 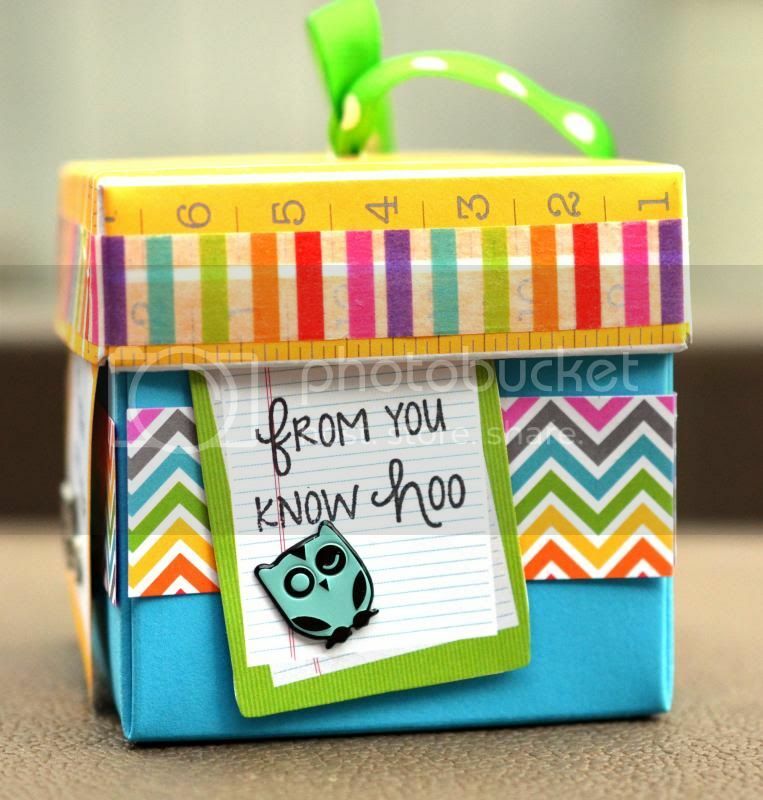 The papers and Washi tape are from Doodlebug. 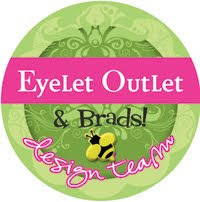 The brads are Eyelet Outlet. The ink is clearsnap. I started with an explosion box that some perfume came in. 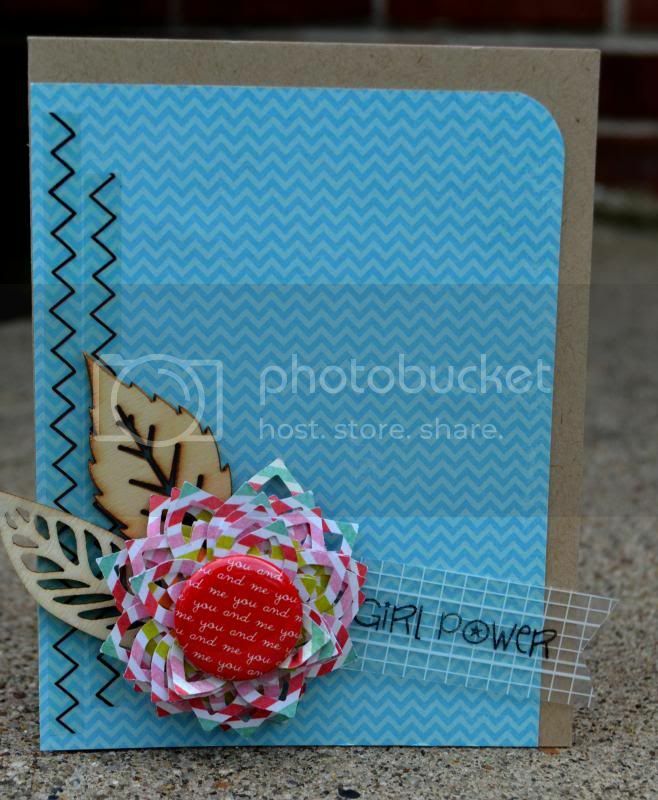 I recovered it in blue cardstock then added the details. 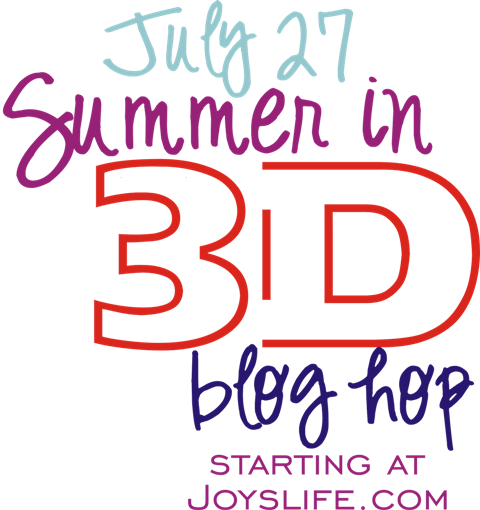 Welcome to the joy's life summer in 3D blog hop! I made a 3D flower for my project! I used a punch to create this gorgeous flower. 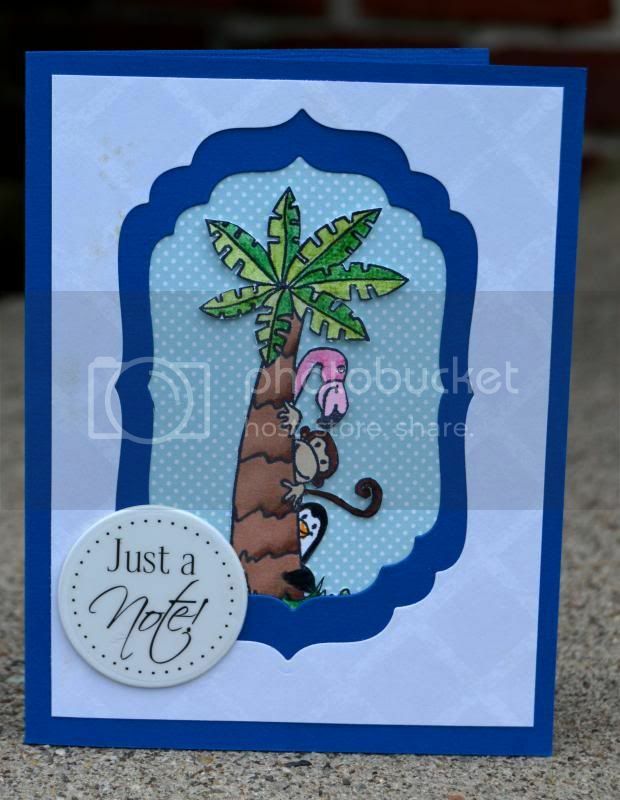 I stamped on a Maya Road transparency with some Clearsnap Chox ink using this fabulous Joy's Life stamp from the new My Hero set! If you didn't start at the beginning, you might want to hop on back there and check out all the inspiration and prizes to be had along the way. If you did start at the beginning, then HOORAY! you've made it to the end! now hop on back over to Joy's Life and tell her what a great time you had! Last but not least, I have blog candy!! I honestly don't know what it is yet, but I will find something wonderful. So to be entered to win a surprise pack of blog candy, become a follower (or already be one) and leave a comment below. I will pick a winner randomly next week. I was inspired by this free Unity digi stamp!! Yes!! I am getting my mojo back!! !